Stay motivated when you're pushing yourself to the limits with the BE Sport4 Bluetooth in-ear headphones. The lightweight, durable design and custom ear tips keep them securely in place no matter how vigorous your workout – without the distraction of wires. In addition, wireless means a future fit to smartphones that don’t include an audio jack. Resistant against rain and sweat, these IPX5 in-ear headphones are ideal for any active lifestyle. Compared to traditional drivers, graphene coated drivers are lighter, more precise and have excellent conductivity which requires less power to drive. This means that no matter what genre of music you are listening to, the bass, mids and high tones are clearly defined with low distortion. Supported by the latest Android and Windows smartphones and PCs, aptX allows you to listen to CD-quality music wirelessly in much higher quality than offered from the standard Bluetooth codec. Hear every detail when playing music from Apple devices and other sources such as YouTube, DAB radio and streaming services. Enjoy up to two hours of continuous listening with a 15 minute charge. Enjoy continuous uninterrupted audio and phone calls throughout the day on a single charge with an impressive battery life. Supplied with specially designed wing tips to lock the earbuds in securely in your ear and stop them falling out during strenuous activity. I was looking for some earphones that are lightweight, wireless and don't fall out whilst I'm working out. These were really easy to pair to my iPhone and the sound is well-balanced and clear. The generous accessory bundles included ensures that you get a good fit to the ear tips which makes a massive difference, sound stays in, world tunes out! Impressive audio quality with a good range of frequency response so they perform well with all of the genres of music in my collection. They fit comfortably and being lightweight makes them perfect for everyday use. NuForce BE Sport4 are very lightweight. You hardly notice them in your ears. Having angled nozzles also makes the fit more comfortable and secure in your ears. NuForce BE Sport4 sound superb with a high volume gain too. Wireless connectivity via bluetooth 4.1 is strong and stable with a 10-metre bluetooth signal range so you can keep your phone in a bag or pocket while working out in the gym. The in-line 3 button remote has a built in mic with high sensitivity, meaning the microphone has a high volume so the person on the other end is able to hear you clearly without being close to the mic. The bundled accessories are very generous and good quality. I loved how these fit into my ears. The slim in-ear design gets a snug fit and no amount of shaking will get them out. They just seem to be better they other headphones in the same league, where some do one thing, these guys will do it better. The sound was good, with soft edges and a really good all-around clarity. For under £100, these are an awesome set of headphones. Great sound, awesome battery live and some features to boot. I highly suggest giving these a try. The Bluetooth pairing was admirably simple, with no need for a dedicated phone app. I would say that the sound quality is upper mid-pack. Once you get the right earbuds and wings fitted, the bass quality is good without overwhelming the subtler aspects of whatever you’re listening to. I found the fit to be very good; no problems with earbuds coming loose or falling out. At around £80, I’d say these earbuds represent good value. Significantly cheaper than some other offerings and better quality than others. The sort of money where you can be safe that you’re buying a quality product, but not so prohibitively expensive that you’d be scared to use them! If you’re after a pair of earphones to workout with then it’s not worth spending megabucks on them. They’re gonna get sweaty, probably come with a luminous colour scheme and will have been made to prioritise fit over sound. Because of that whole sweat thing we just mentioned. Bearing all that in mind, the BE Sport4 earphones absolutely nail this balancing act. With a snug design, modest aesthetic and sound that’s good enough for day-to-day shenanigans that don’t involve a treadmill. Kudos. When it comes to the all-round best wireless headphones, Optoma's NuForce BE Sport4 earbuds are our top pick. These are a rare find that do it all, at an affordable price – and they boast a stylish design, too. They were actually crafted specifically with exercise in mind (so they're technically our best wireless headphones for sport, too) but that doesn't stop them from being a brilliant set of everyday wireless headphones. In fact, it only makes them better as they come fully equipped with extras you wouldn't usually find in other non-exercise specific models, without the extra cost. Purpose built for fitness these reliable Bluetooth headphones boast a 10-hour battery life, and are sweat-and water-resistant. Comfort is important while you’re exercising, which is why the Optoma BE Sport4 are lightweight and come with a range of custom ear tips. This means they fit securely in place, no matter how hard you’re working out. The sound is ace, and if you charge them for only 15 minutes you get up to two hours of listening: great for last-minute gym sessions. The sound’s pretty good too. The BE Sport 4s lack a bit of bass, but they provided a nice clear sound without being too tinny; something that afflicts plenty of other bluetooth earphones. I found they got plenty loud enough to drown out the creaking treadmill I found myself running on in the gym and the snug fit helped squeeze out most exterior noise. One of the issues I had with the Optoma Be Sport 3s was that there was a substantial lag from turning them on and them successfully syncing up with my phone. But the syncing with the Be Sport 4s is almost instant and in testing I never had an issue with the connection. I’ve worn the Optoma NuForce BE Sport4 during a few 5km runs, and with the right silicone tips, their stability has proved excellent. There are also some ear hooks in the box, for those wanting greater reassurance. 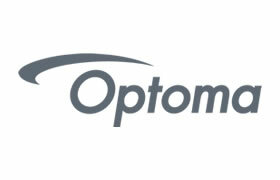 The Optoma NuForce BE Sport4 have a great sound signature for sport. They’re chunky-sounding, which is a good when you consider that they’ll likely be competing with some ambient noise, or the sound of your footfalls. The Optoma NuForce BE Sport4 are great sports earphones that last a long time between charges, are surprisingly comfortable to wear, and sound good too. Great wireless sport earphones that offer long battery life, water-resistance and decent sound at the right price. They've done it again! First with the BE Sport3, now the BE Sport4 Bluetooth earphone is one of the best Bluetooth wireless earbuds about! These portable earphones combine style, build quality and amazing sound to create the perfect sports earphone as well as a superb all rounder for under £100! Bass is powerful but not overpowering, and vocals sound better-textured than through most wireless earphones I’ve heard at the price. Get in the zone with the help of Kenny Loggins in your lugs via these excellent wireless sports earphones, boasting 10 hours of battery life (and two hours from a single 15-minute charge), and astounding audio quality. Importantly, they’re also a secure but perfectly comfortable fit, and are sweat-resistant to boot. It’s impossible not to compare the BE Sport4 earbuds to their predecessors, the BE Sport3s, which we also awarded five stars in 2017. The sound quality of both pairs is easily impressive enough to warrant everyday use outside of the gym, and sends a warning shot to manufacturers of headphones in this price range: build and audio quality do not need to be sacrificed in order to keep earbuds affordable. “For me personally the NuForce BESport4 has a good detailed depth with clear and clean frequencies. The additional bass completes the complete package. 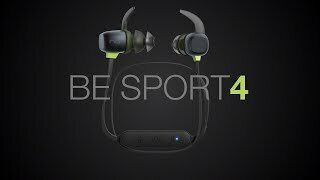 The BESport4 has great battery life and comes with lots of spare parts"
"Should you buy the BE Sport4? If you're looking for a solid, reliable pair of Bluetooth earphones that offer tons of customizability and great sound, then yes."